This is the first time I’ll do a presentation in French. It’s about caching best practices in HTTP, a topic I’m comfortable talking about, but the fact that it’s not in English or Dutch is an extra challenge I’m looking forward to. The event is hosted by La FeWeb, the French speaking branch of the Belgian federation for web professionals. Or “La Fédération des Métiers du Web” in French. 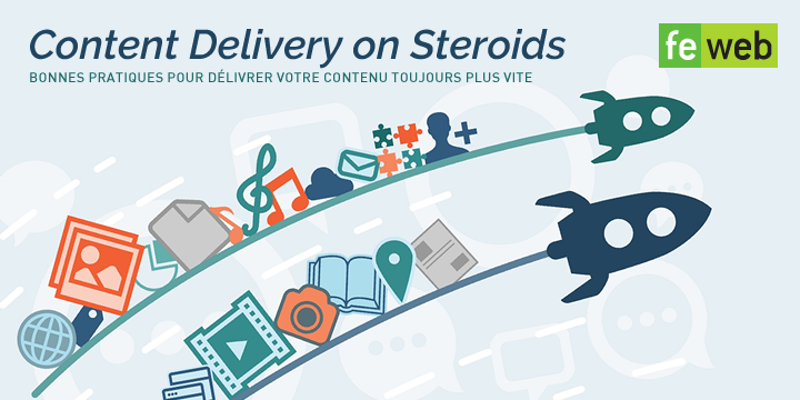 The evening is themed “Content Delivery on steriods” and features a number of speakers. Have look at the event page. In this presentation I’ll talk about how to write cacheable code, and use Varnish as an example of a caching implementation.